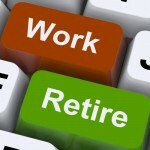 Can Reverse Mortgage in Loveland, CO Help You Achieve Your Retirement Vision? No matter what your retirement vision is, reverse mortgage can help you achieve it. For seniors 62 and over, regardless of income or credit, a reverse mortgage can provide funds to achieve goals, frees up those strapped by limited incomes, and even help purchase a new home.